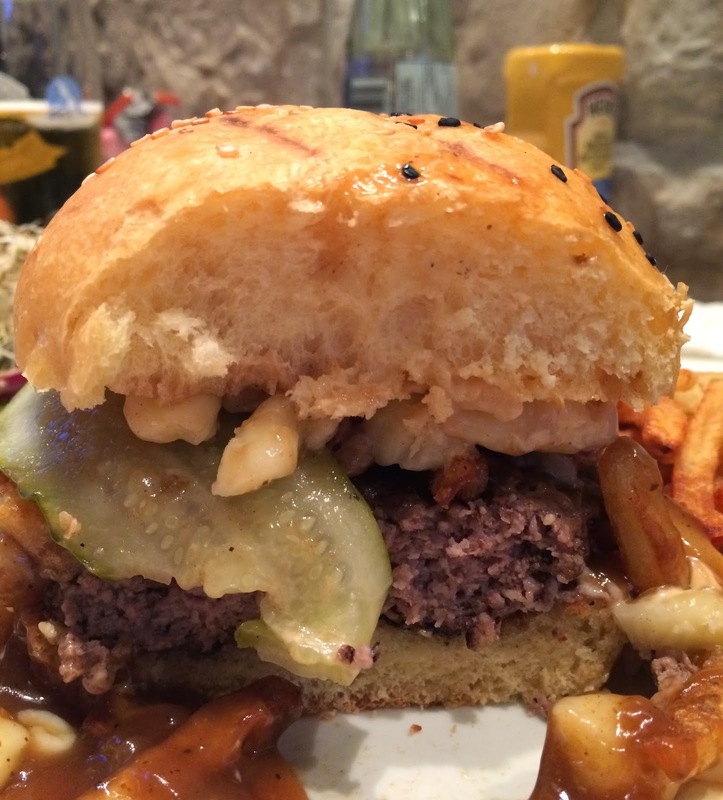 While I was having Mac & Cheese Poutine from Ste-Catherine & Burger RestoBar, my husband tried their Poutine Burger. According to the menu, it consists of fries, cheese curds and brown sauce. 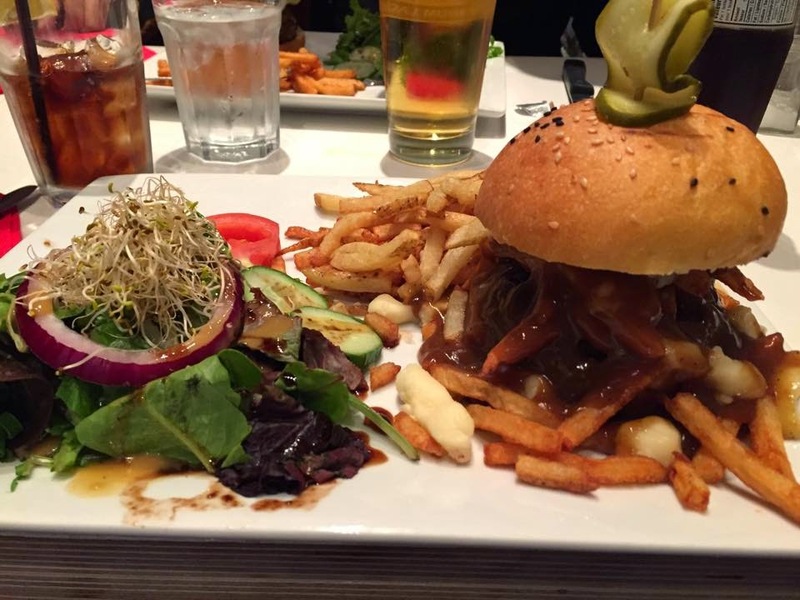 As you can see, there's a mini salad with a burger with poutine, and fries behind the burger as a side dish. 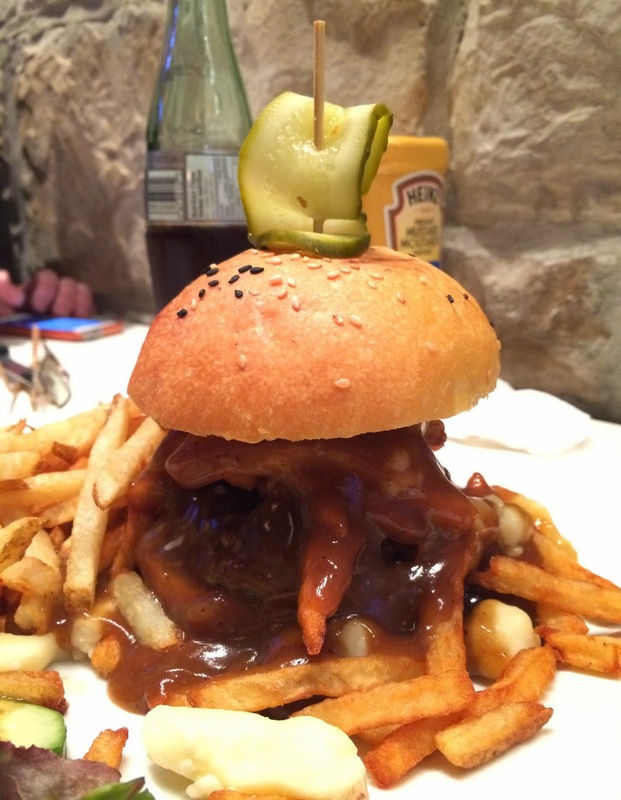 A slice pickle was on the top bun, and fries, gravy sauce (brown sauce) and cheese curds were covering up the beef patty. When I first saw this, I didn't know if there's any meat inside. Over the bottom bun, there's a thick and juicy beef patty. 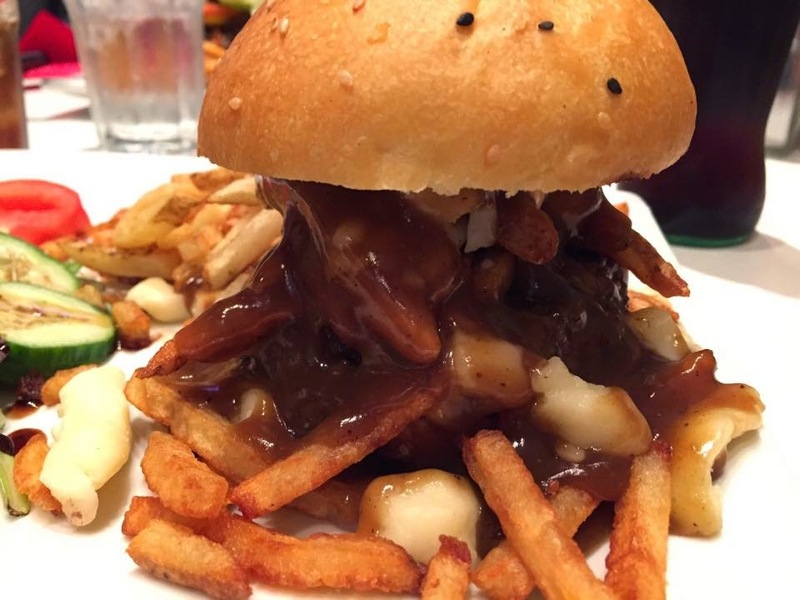 It tasted exactly what you can imagine, it's a hamburger with poutine without ketchup or mustard, which were at the table so you can add upon your preference. To compare with Mac & Cheese Poutine, that is carbs x carbs x protein, this Poutine Burger had beef patty and cheese curds which are protein, and there's a mini salad on the plate, so this dish was a little bit better in the balance, yet the fries as a side dish added extra carbs anyway.